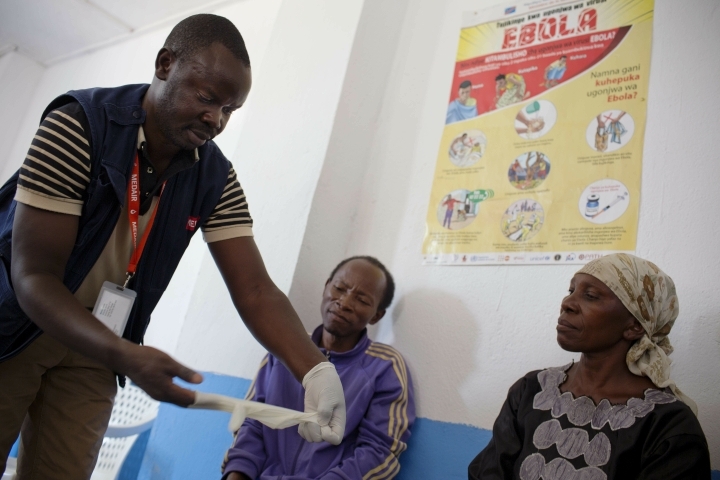 DAKAR, Senegal — The deadly Ebola outbreak in eastern Congo marked six months on Friday with officials noting a worrying number of confirmed cases linked to health centers. Such infections are seen as a major problem that highlights poor practices and the risk of spread among patients and workers. Combined with community resistance in an unstable, densely populated region that has never faced Ebola before, the task of containing the outbreak remains challenging . In the current epicenter, the communities of Butembo and Katwa, 86 percent of Ebola cases since Dec. 1 "had visited or worked in a health care facility before or after their onset of illness," the World Health Organization said. In the past three weeks in Katwa, 49 "health structures" were identified where confirmed cases were hospitalized, and eight new infected health workers were reported, WHO said. With 759 Ebola cases, including 705 of them confirmed and 414 confirmed deaths, this has become the second-largest Ebola outbreak in history, behind the West Africa outbreak that killed more than 11,000 in 2014-2016. No end is in sight. "This is a particularly complex area with such insecurity," Dr. Ibrahima Soce Fall, the WHO regional director for emergencies, told The Associated Press. "We have been able to control many hotspots, but it will take some time to really end the outbreak." Katwa is the latest community to present officials with a population that is wary of outsiders after years of rebel attacks in the region. "They don't trust authorities in Congo because they've been exposed to insecurity and conflict for more than 20 years," Fall said. "You cannot control this type of outbreak without having the community involved for rapid detection." In Beni, an early epicenter, it took months before some communities showed trust, he said. People often still choose to go to traditional health centers instead of hospitals. "Many people have gotten infected in those facilities. If you have malaria, you may be in the same place as someone with Ebola," Fall said. "They don't have doctors there, and the people working aren't qualified." Many of Ebola's initial symptoms, including fever and muscle pain, are similar to those of malaria and other illnesses common in the region. Also of concern in Katwa is that 80 percent of Ebola cases have not been traceable to known contacts of other infected people. 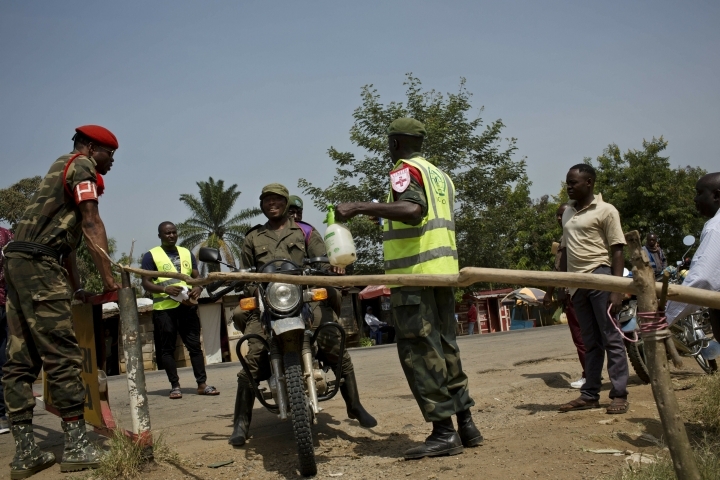 That means officials cannot accurately track where the virus is spreading and who is at highest risk, said Laurence Sailly, the head of mission in Congo for Doctors Without Borders. 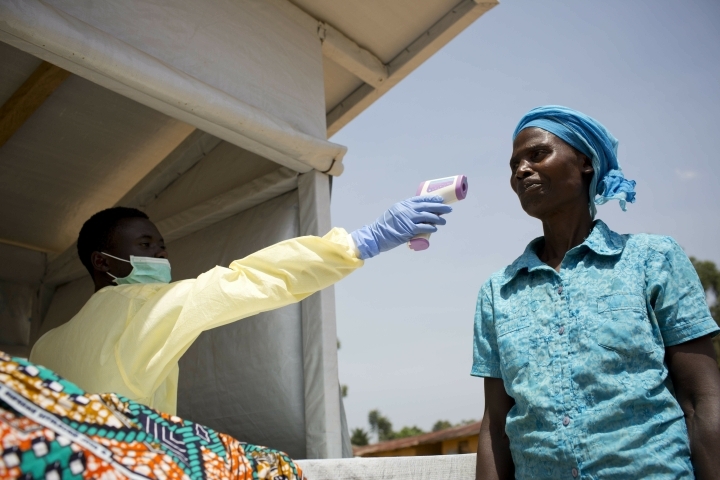 That rate is lower in communities that had cases early in the outbreak, reflecting health workers' progress. Each time Ebola emerges in a new community, health workers must start from zero to explain the disease. Some engage rebel groups for access to carry out vaccinations and trace contacts of those infected. There is also concern about deaths that occur outside health centers as some people remain reluctant to seek help. Ebola patients at home potentially infect many more people than in isolation, and experts say they are most infectious shortly before they die. WHO and Congo's health ministry have begun testing and recording all deaths outside health centers. "I'm scared of Ebola and I think the epidemic is far from over," said Manoa Lebabo, a 20-year-old Beni resident. Associated Press writers Al-Hadji Kudra Maliro in Beni, Congo and Jamey Keaten in Geneva contributed.